If you’re getting sick of your usual florals this summer, one microtrend you can try to switch it up are fruit prints. Bright and playful, these patterns are perfect for summer — and they can be as subtle or as bold as you want. Spotted as accessories in the Spring/Summer 2018 runways of fashion houses like Prada and Fendi (as earrings and bag charms, respectively), bananas are cute and cheeky. Those bright pops of yellow will add some fun to your outfit without being too much. Pineapples have been trending for a while thanks to the tropical trend, and it looks like they’re not going away just yet. Light, breezy tops and dresses with this print will have you rocking beach vibes even in the middle of the city. Cherry prints are both sweet and a little bit retro, so lean into that look and go with feminine pieces like flowy blouses, sundresses, and mini skirts. The black and red color scheme should also be a welcome change from your usual summer pastels. 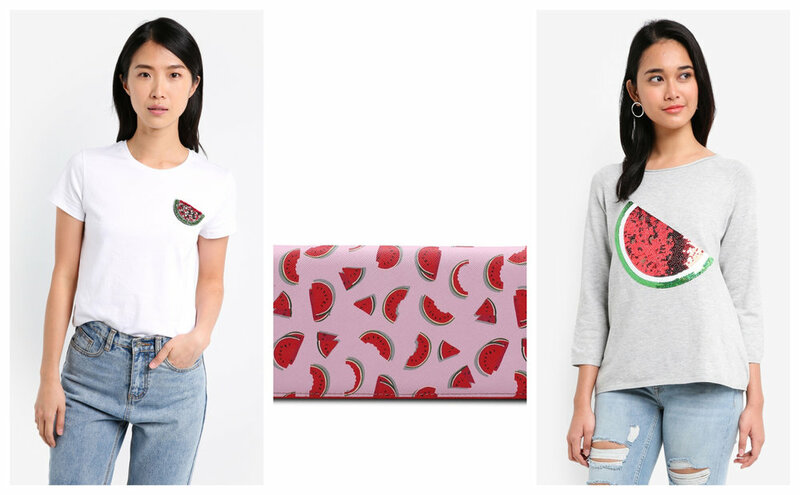 It doesn’t have as much traction as the other fruit prints, but that just makes the watermelon print as refreshing as the actual fruit — especially on accessories like shoes and bags. Don’t be afraid to play with big prints and brighter colors! What’s your favorite fruit print? Let us know in the comments section below!